Here at WIRS we offer a wide range of products in this category such as	New Binzel MB EVO PRO Torch, Binzel Welding Torch MIG Range MB25/36/501 and WP Tig Torch Range- WP18/20/26 etc, everything for your welding needs. Below is some of our best sellers for our Welding Torches category, many others available so please contact us with your query. WIRS are proud to now offer the new MB EVO PRO Binzel Welding Torches at all three of our branches! The MB EVO PRO Binzel Welding Torches represent a completely unique solution in welding torch design, structure and application. Equipped with truly unique ergonomics following on from widespread research amongst welders, the MB EVO PRO Binzel Welding Torches present superior control, which allows the welder to feel at one with the torch. The MB EVO PRO Binzel Welding Torches positioning, trigger design and ball joint construction pledge optimum use in almost any welding position. WIRS are proud to be a leading distributer Binzel Welding Torches at all three of our branches. Binzel welding torches come with optimum torch cooling technology and with it’s ergonomic handle you can be sure that you get robust construction and durability for extended life. The MIG/MAG Torch series "MB GRIP" in air and liquid cooled varients is the finest solution of its kind. It combines progressive technology and quality with optimum ergonomics, enabling trouble free operation for every application. 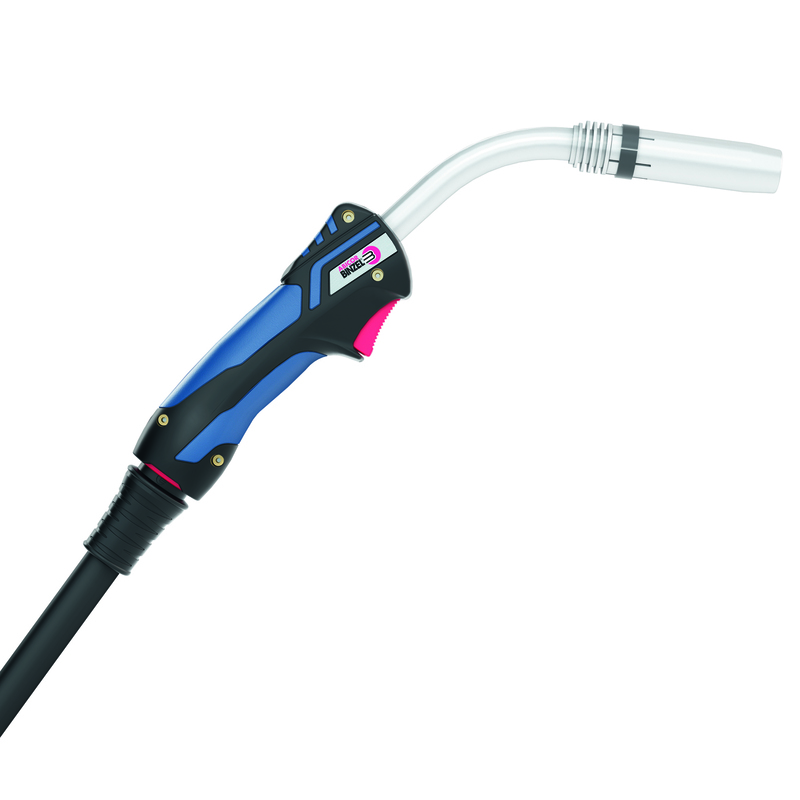 The WP Range is a Compact Water Cooled Tig torch with a250 Amp DC 180 Amp AC - 100% duty cycle. Supplied with water, gas and power cables.